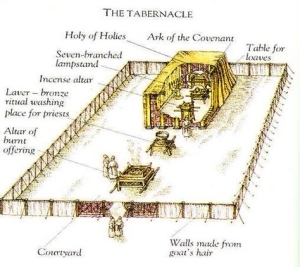  For purposes of distinction, “tabernacle” should be used when referring to the tent of worship which Moses constructed at Mt. Sinai, and “temple” should only be used when referring to Solomon’s temple in Jerusalem. The disciples could not have received the Spirit in John 20:19-23. Jesus here only ordained them (1) to receive the Spirit (v. 22), and (2) to go out and begin to preach (v. 21), and (3) to forgive and retain sins (v. 23). None of those things happened at that time.